In today’s post, we’re celebrating “Throwback Thursday,” Smithsonian-style. 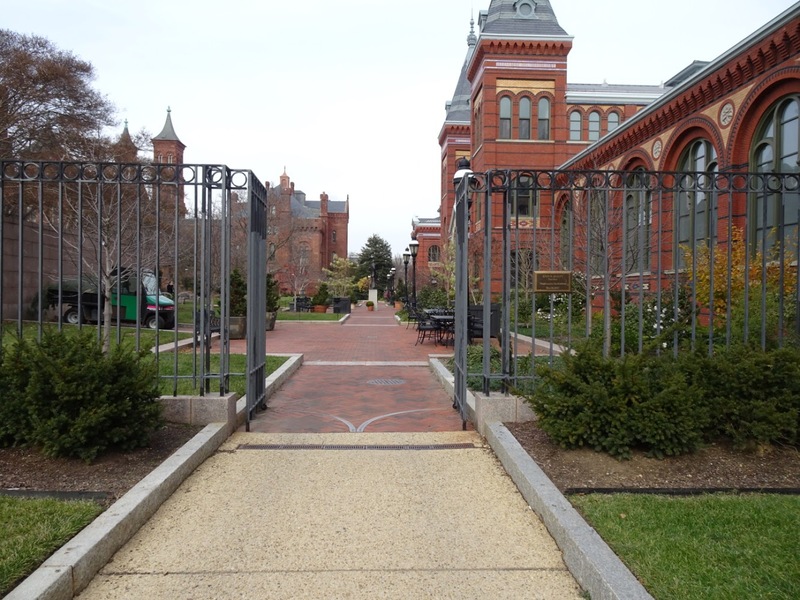 Toggle between historic photographs of Smithsonian spaces and what they look like today. Well, what they looked like earlier this month, at least. Special shout out to all of the attendants who helped me find my way around to take these photographs and didn’t stare too hard when I spent an hour hanging out in seemingly random corners of their museums. 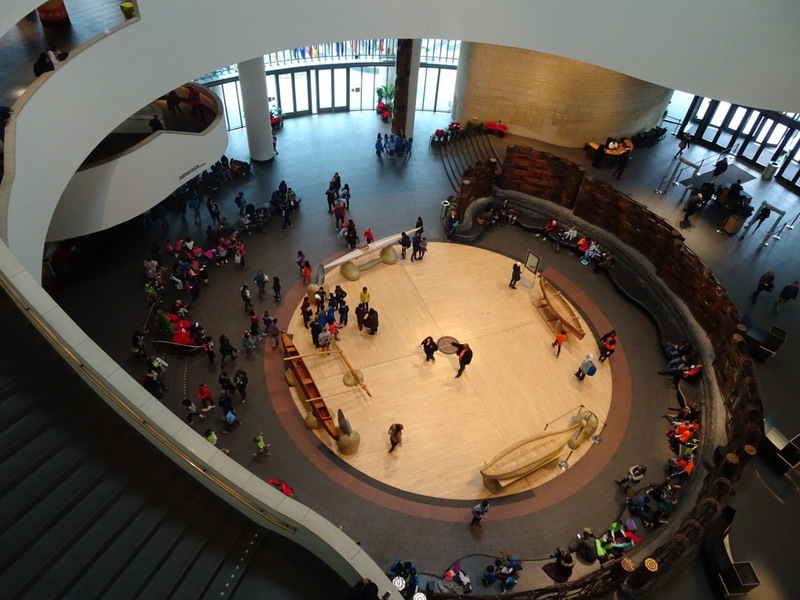 The Potomac Atrium at the Smithsonian National Museum of the American Indian is a 120-foot-high space, designed in collaboration with Native American communities during a four-year period. It is named for an Algonquin phrase, meaning “where the goods are brought in.” It is often the site of cultural festivals and programs at the museum. Swipe to see the space under construction in 2004 and what it looks like in 2018. 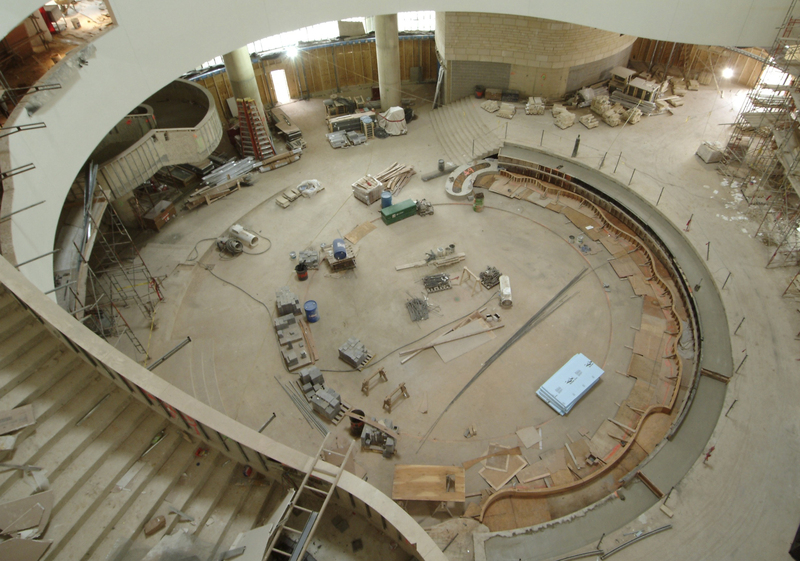 Image: NMAI Atrium During Construction, by James Di Loreto, March 8, 2004. Smithsonian Institution Archives, Accession 11-009, Smithsonian Photographic Services, Image no. 2004-23223, detail. One big challenge to capturing many of these before-and-after shots was nature. 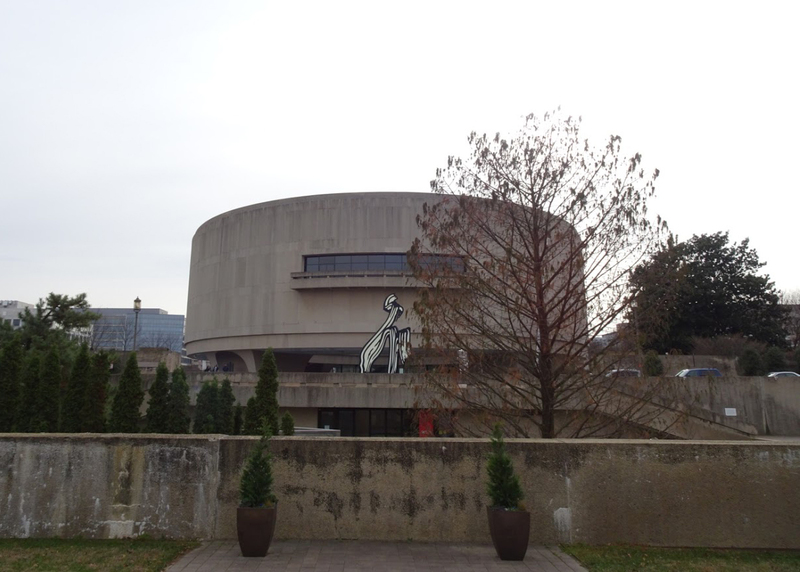 But trees and green spaces were not always around at the Hirshhorn Museum's sculpture garden. The original design for the sunken space was created by architect Nathaniel Owings, but executed by Gordon Bunshaft who headed the museum’s construction, beginning in 1969. Although Congress took the time to consider criticism of the design, halting work in 1971, the garden still opened to complaints in 1974. It was not wheelchair accessible, lacked greenery, and didn’t provide enough shade to visitors. When Lester Collins was tasked with redesigning the space in 1977, he added ramps, plants, and trees to the garden, which reopened in 1981. Finally, it was repaved and redesigned in 1991 by architect James Urban, in collaboration with the staff, making the space even more accessible and green. 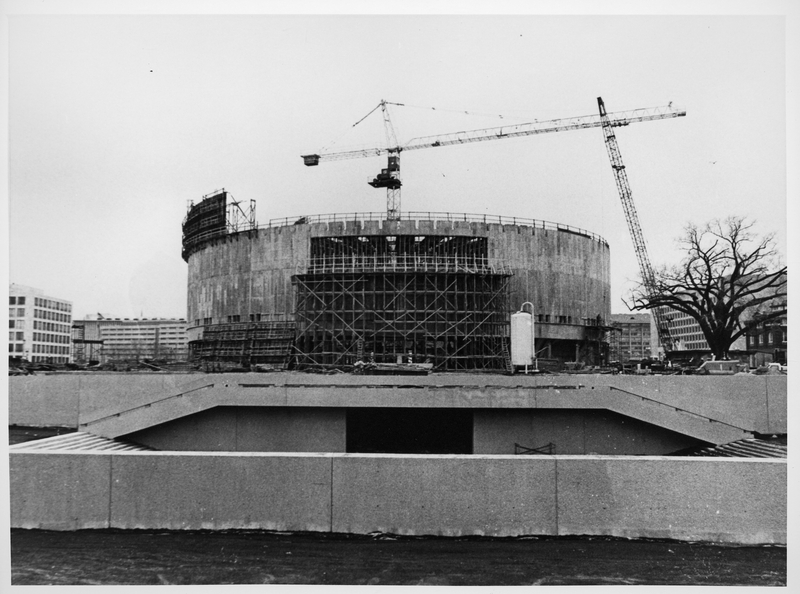 Image: Hirshhorn Museum Construction, 1972. Smithsonian Institution Archives, Record Unit 95, Image no. 2002-12205. Again, there’s a whole lot more greenery here to work with (and a gate!) in between the Smithsonian Institution Building and the Arts and Industries Building. In 1987, this space got a major upgrade when the Enid A. Haupt Garden opened as part of the newly redesigned Quadrangle. Smithsonian Secretary S. Dillon Ripley approached publisher and horticultural philanthropist Enid Annenburg Haupt about donating funds for a Zen garden. Much to everyone’s surprise, Haupt offered an endowment of three million dollars for the space. 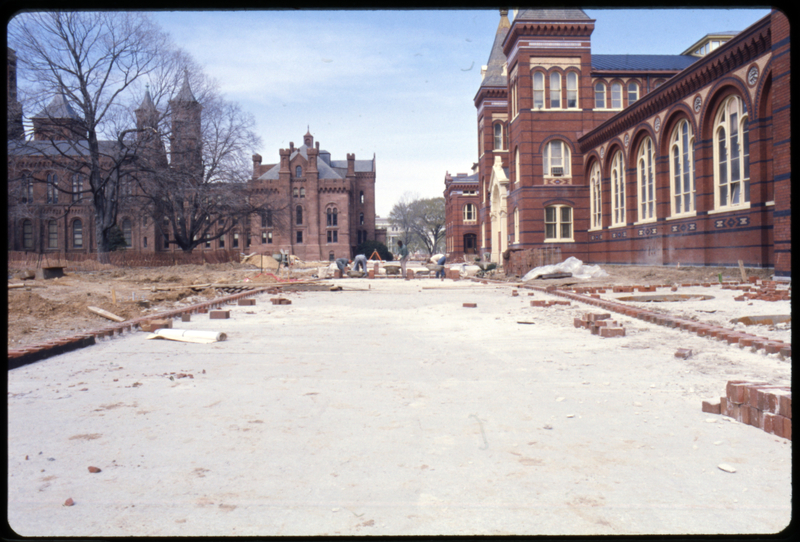 Image: Exterior View of the Arts and Industries Building During Sidewalk Renovation, 1976. Smithsonian Institution Archives, Accession 11-009, Smithsonian Photographic Services, Image no. 76-8839. And some spaces don’t change all that much. One difference at the Freer Gallery of Art is clear, however. The museum has evidently taken steps to protect its collections, adding glass cases and railings in front of artworks. But the Freer Gallery has always had collection preservation in mind. 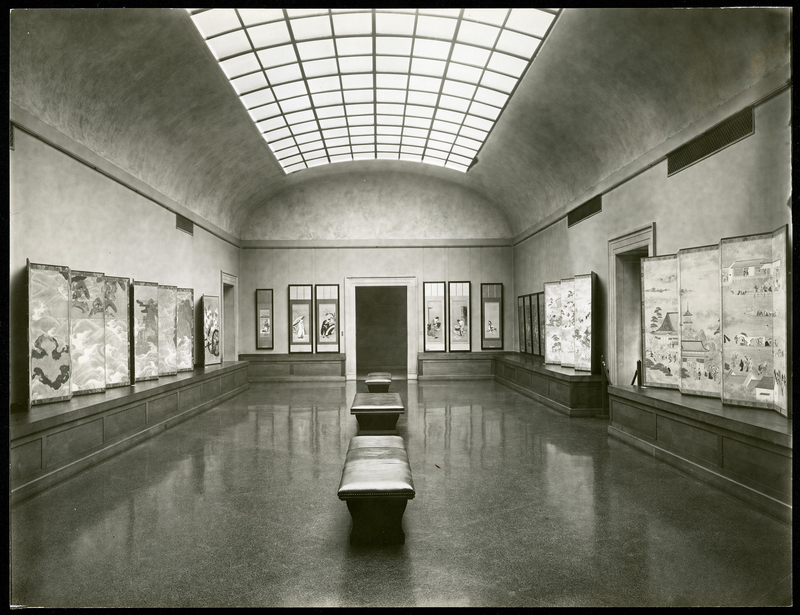 In 1932, the museum established the East Asian Painting Conservation Studio, and in 1951, it created the Technical Laboratory, which became the first Smithsonian facility to explore scientific methods to study art. Together, these two groups joined to become the Department of Conservation and Scientific Research in 1990. 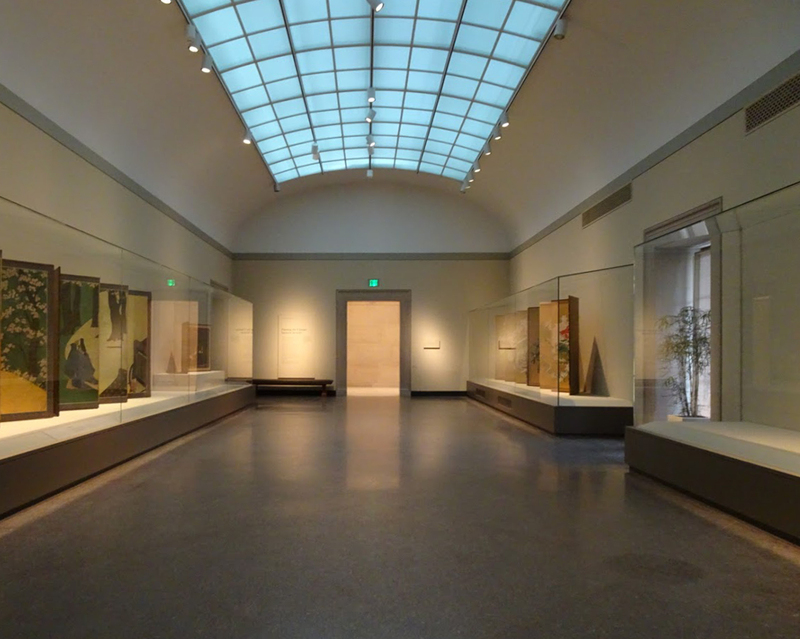 Image: Gallery V Looking South in the Freer Gallery of Art. Smithsonian Institution Archives, Accession 02-082, Image no. SIA2015-000807. In some spaces, it’s all about that base, ‘bout that base. 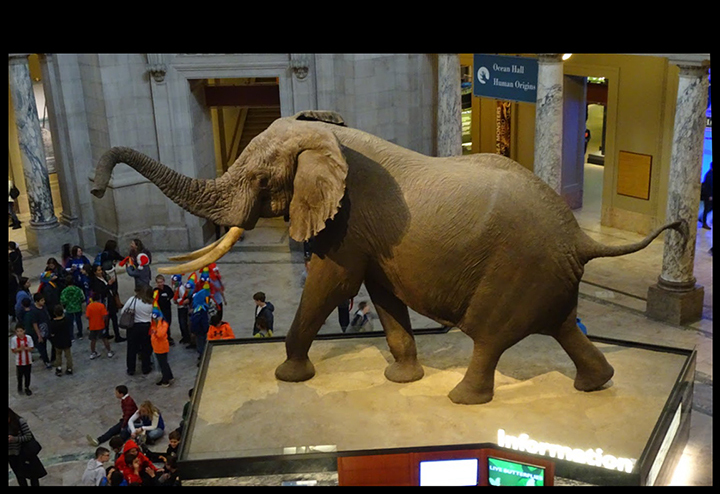 The thirteen-foot-tall Fénykövi Elephant, which has greeted National Museum of Natural History visitors since 1959, got a new base in 1999. This iteration was constructed to look like a natural habitat. The newest, sleek platform, redesigned in 2015, now houses an information desk with resources about the African elephant and the threats of poaching. 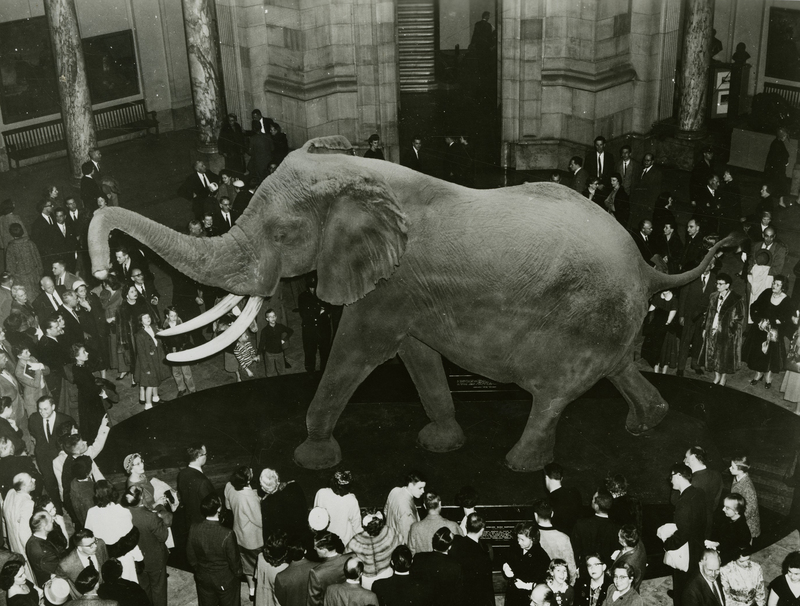 Image: Unveiling of Fénykövi Elephant, March 6, 1959. Smithsonian Institution Archives, Accession 00-082, Image no. SIA 2010-0609, detail. 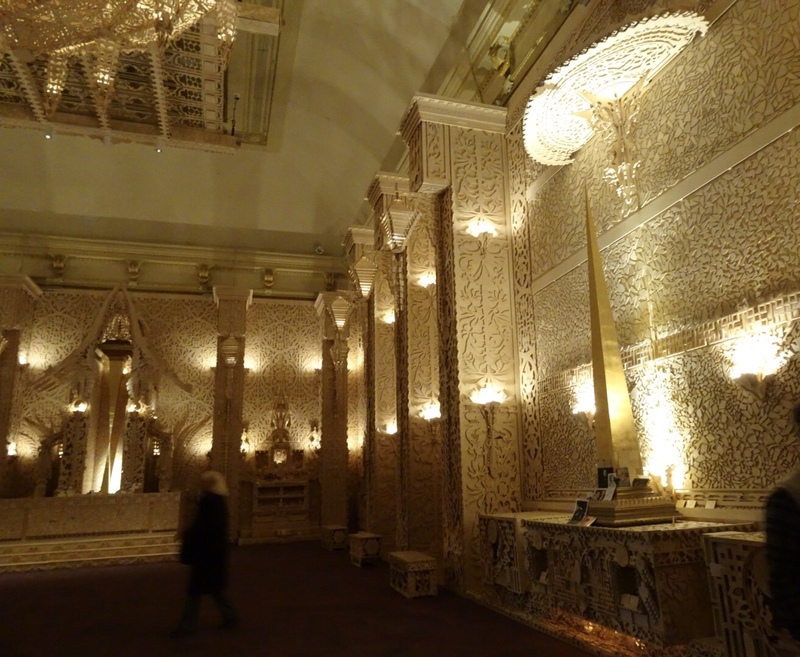 And finally, the Renwick Gallery might just have had the biggest transformation yet. 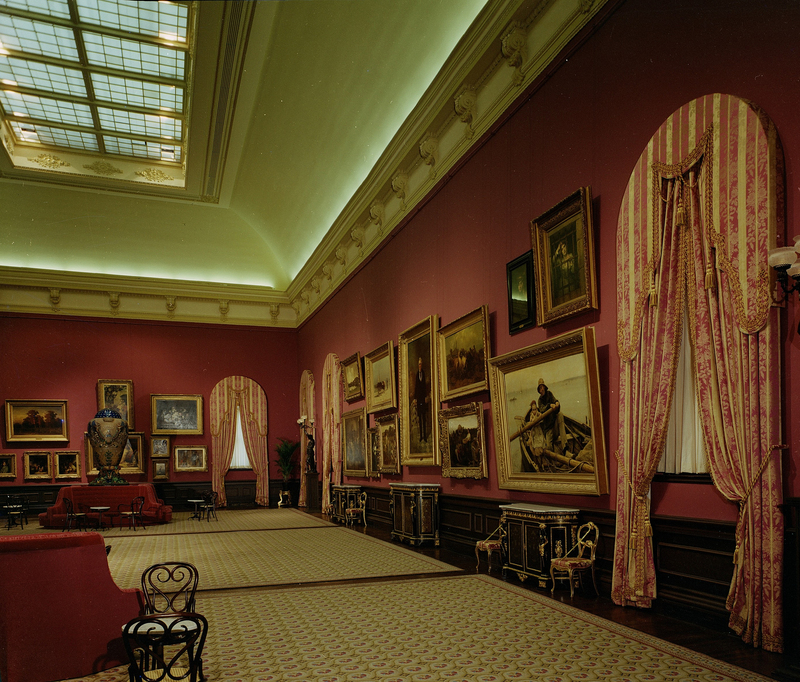 From 1972 until its renovation in 2013, the Grand Salon on the second floor of the museum looked like a traditional art gallery, with hanging works displayed throughout the room. And it stayed that way for forty years. Check out the de-installation time-lapse of that Grand Salon. When the gallery re-opened in 2015, visitors lined up to lay on the new carpet to examine Janet Echelman’s "1.8 Renwick". Now, David Best’s "Temple" completely transforms the room. We can’t wait to see what’s next! Image: Grand Salon of the Renwick Gallery, by Alfred Harrell, 1972. Smithsonian Institution Archives, Accession 11-009, Smithsonian Photographic Services, Image no. 72-4230, detail.